Boone County Commissioners are proceeding with purchase of this land south of the fairgrounds. Boone County Commissioners approved the purchase of 35 acres of land, bordering the south end of the fairgrounds, during their regular meeting Monday, Sept. 26. 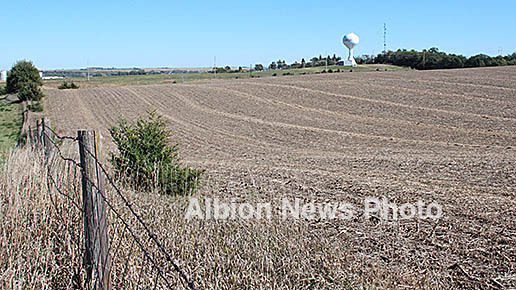 The land, owned by the Kohtz family, had been listed by John Temme Auction and Realty, Inc. 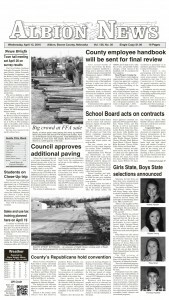 Commissioners approved a $5,000 earnest money payment at Monday’s meeting. Total purchase price is $270,000, which will be paid from the county’s Inheritance Tax Fund. Closing is set for Dec. 1, 2016. Details in the Sept. 28 Albion News and Petersburg Press, print and e-editions.